Buchi, the music minister and missionary, just released a brand new single titled 'IT'S STILL LEGAL' to celebrate his birthday today the 24th of June, 2015. 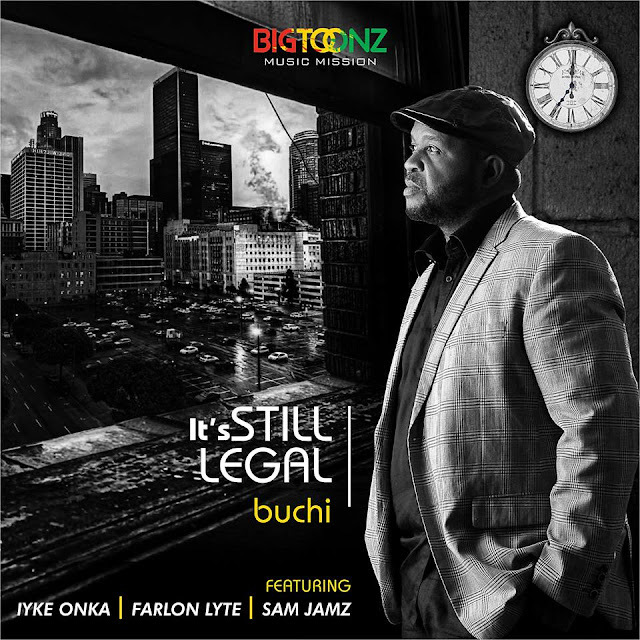 Buchi's birthday is taking a low-key this year because of the importance of the message in the song, and so Buchi has chosen to release it NOW, instead of his traditional 3 years intervals between albums or new releases. 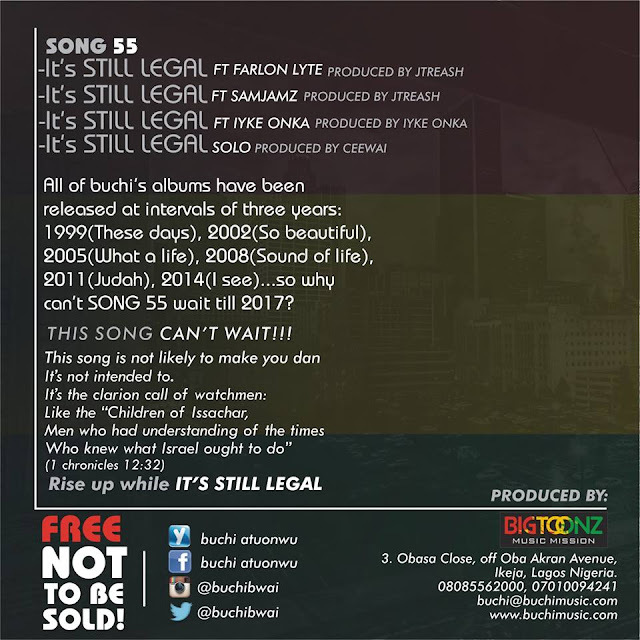 All of Buchi's albums have been released at intervals of three years: 1999 (These days), 2002 (So beautiful), 2005 (What a Life), 2008 (Sound of Life), 2011 (Judah), 2014 (I See)... so why can't SONG 55 wait till 2017? This song is not likely to make you dance, It's not intended to. This is a song to the church, for everyone who has things to do for God, the time is now! It's the clarion call of watchmen: Like the "Children of Issachar, Men who had understanding of the times Who knew what Israel ought to do" (1 chronicles 12:32). So RISE UP WHILE IT'S STILL LEGAL to talk about Jesus publicly, before the doors are shut completely. 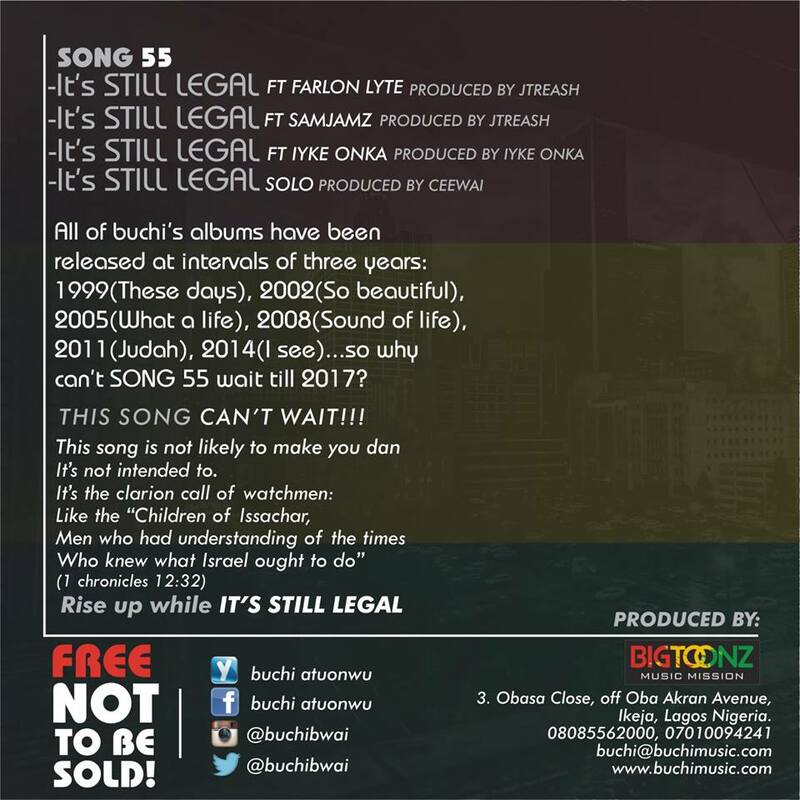 SONG 55 (IT'S STILL LEGAL) has four different versions, features THREE (3) artistes - Iyke Onka, Farlon Lyte (South Africa), and Sam Jamz; THREE (3) amazing music producers (J-Treash, Ceewai & Iyke Onka); and that very important message. Its not about what version you like best or prefer, its about the message. Buchi says "Before I knew that I would ever sing, I always knew that i had a role to play and be involved in a song that would herald the coming of Christ. This is it. I will be eternally grateful if you can as my birthday gift, help, support, share, tweet, post and distribute through your various networks this song, so that this God given message can reach everyone. I Thank You"